A freshman, La Porte was attending Virginia Tech on an Air Force ROTC scholarship and belonged to the school's Corps of Cadets. He was considering majoring in political science, was a graduate of the Carson Long Military Institute in New Bloomfield, Pa. He credited the academy with turning his life around. "I know that Carson Long was my second chance," he said during a 2005 graduation speech that was printed in the school yearbook. On Tuesday, the school posted a memorial photograph of La Porte in his school uniform on its Web site. 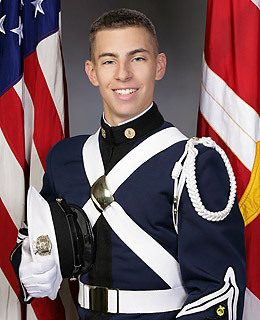 "Matthew was an exemplary student at Carson Long whose love of music and fellow cadets were an inspiration to all on campus," the school said in a statement.